Susan S. Barmon grew up in New York and has been telling stories through photographic portraiture most of her adult life. Ms. Barmon was educated at Syracuse University School of Art and The Portfolio Center in Atlanta, Ga., where she studied photojournalism with Dennis Carlyle Darling. Her career has encompassed retail and editorial art direction and location photography. A move to San Francisco presented her with the opportunity to photograph “The Littlest Cowboys” Jr. Rodeo portrait series, and begin “The Millennium” series. Both have been shown nationwide, and won several major awards. She began her “Drive By Shooting” series in 2006. It is being shown and is ongoing, as is her portrait work. To view any of Ms. Barmon's photographic series please email her from CONTACT PAGE. 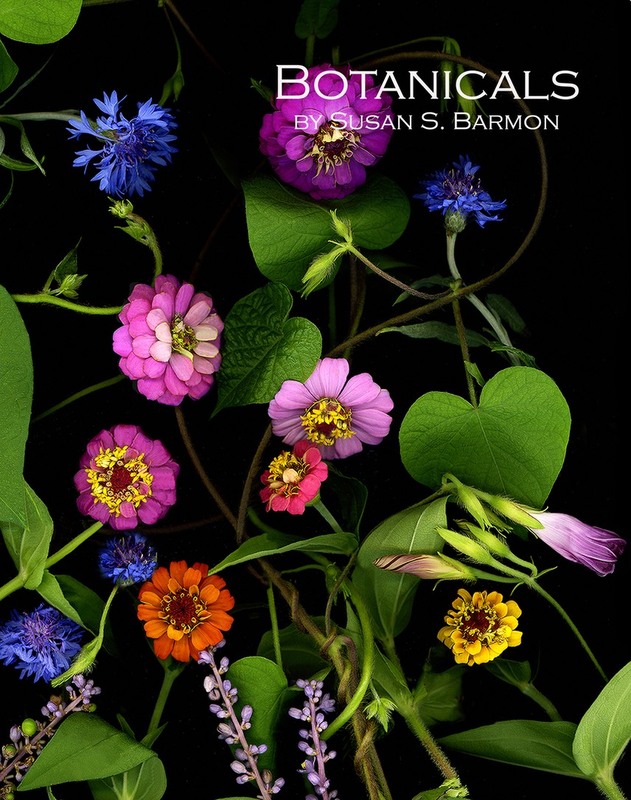 In 2005 Ms. Barmon entered the digital world with her botanical scans featured on this site. The images have been shown extensively, are licensed and published, and are in private collections as limited editions. 1982-1990: Freelance location photographer, graphic design. Client list included Atlanta Magazine, Southern Homes magazine, Condo magazine, Bank South, Piedmont Hospital, Coca Cola. 1981-1982: Editorial Art Director and Photographer for Brown's Guide To Georgia Magazine. Responsibilities included photographing, layout and design for 144 page monthly publication. 1979-1981: Freelance graphic artist, location photography. Client list included Macy's and Rich's department stores, Piedmont Hospital, Bank South, Coca Cola, and local design studios. 1974-1978: Art Director for Miccosukee Tribe of Indians, Miami, Fla. Responsibilities included designing and producing all the bilingual educational materials for the three tribal schools, art needs for the tribe, and keeping a photographic record of tribe and their activities. 2015: The Exposure Award. “The Black and White Collection” book. “The Horton Brothers” from The Littlest Cowboys Portrait series selection of of 151 images juried from over 1200 submissions. 2010: CSA JOURNAL 48, The Society of Certified Senior Advisors. 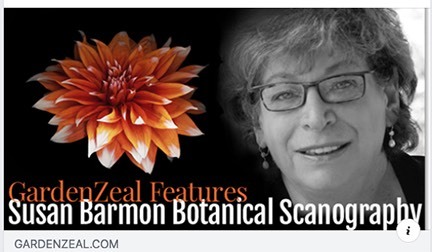 Cover art and in depth article about Susan Barmon Botanicals. 2009: Selected botanical cover art for Salem Or. Yellow Pages. 2008: Flower Magazine feature article about Susan Barmon Botanicals. 1995: Merit Award, Artisans Gallery, Mill Valley, Ca. Selected from The Littlest Cowboys Portrait series. 1979: Time Magazine "Power of Print" contest. Winning photograph from The Miccosukee Tribe of Indians. 1998: "Time Flies While You're Having Fun." Salon Finn Barra, Atlanta, Ga. Recent work. 1997: "The Littlest Cowboys", Barnes and Noble, Atlanta, Ga.
1995: "The Littlest Cowboys", Barnes and Noble, San Francisco, CA. 2008: "On The Edge", Atlanta Photography Group. Juried by Alan Avery, of Alan Avery Gallery, Atlanta, Ga. Selection from “Drive By Shooting” series. 2007: Botanicals at The Jennifer Hunt gallery, Birmingham, Al. 1995: "Impressions of the American West" Juried by Art Rogers, Julia James. Winner of Merit Award from Artisans Gallery. Selection from “The Littlest Cowboys” Portrait series. 1994: The Griffith Gallery, San Francisco, Ca. “The Littlest Cowboys” Portrait series. Metaverse Corp : WorldwideYellow Roses and Alstromeria. Open edition paper and canvas. Pixel House SOLUÇÕES EM IMAGEM LTDA-DBA Moldurapop 2016-2018 North America, South America, Europe: Four images Open edition canvas, paper, metal, glass, and wood wall decor (as finished goods). Posterservice/ Frame 2018-19: Worldwide, open edition paper, canvas wall decor. Six botanical images. Kroto, Inc. dba iCanvasARTInc. Worldwide online. 1 image. Renewal of 14 images worldwide. Pixel House SOLUÇÕES EM IMAGEM LTDA-DBA Moldurapop 2016-2018: North & South America, & Europe. Four Botanical images. Open edition canvas, paper, metal, glass, and wood wall decor as finished goods. Cafe Press/ Great Big Canvas 2015-2017: Worldwide, paper posters, framed prints, canvas and wall peels. World Wide Imports LTD 2015.: Australia, New Zealand, Vietnam, China. Six more images to be printed on tins. Northern Home Accents Corp.2015-2017: Worldwide. Coasters, coffee mugs, serving trays, wooden wall decor. Metaverse Corp. 2015-2018: Worldwide. Open edition paper and canvas wall decor. Champton Pty Ltd.2015-2017: Worldwide,open edition paper and canvas wall decor. Great Big Canvas- Circle Graphics 2015-2017: Paper posters, framed prints, canvas and wall peels. Streamline Art and Frame 2015 : Four botanical images, Open edition wall decor, North America. Evergreen Enterprises, Inc.2015: The Littlest Cowboys, "The Horton Brothers” Award winning image for outdoor wall decor wood and canvas, indoor wall decor pillows, canvas carved wood decor. Finic.com 2014: Worldwide, All images in portfolio for wall art. "See Me” 2015 The Black and White Collection: Worldwide black and white award winning photographic book. Published “The Horton Brothers” from the Littlest Cowboys” portrait series.